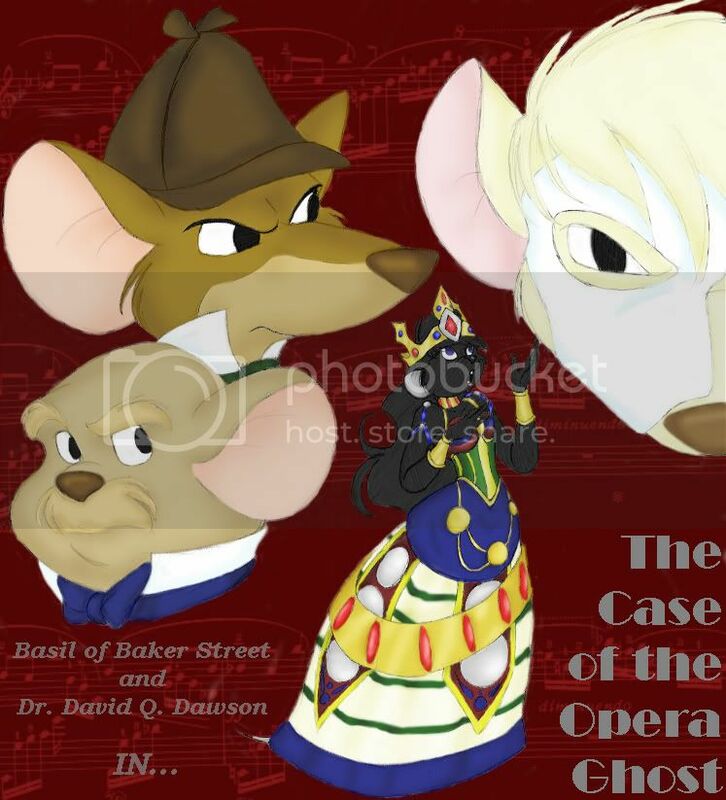 Synopsis: Basil of Baker Street, the Sherlock Holmes of the mouse world, is called upon by an old friend - the opera diva Lauralyn Dalton - to solve the mystery of a series of accidents that have been occurring at the Royal Opera House. However, who or whatever is causing these disasters to transpire doesn't want Basil to find out the cause... and will stop at nothing to make sure he doesn't succeed... not even at murder. Playbill-style poster cover art for "The Case of the Opera Ghost". This came out really nicely, I think. ESPECIALLY Basil and Dawson. That dress was murder. Basil and Dawson are c/o Eve Titus and Disney. Lauralyn and the Phantom are c/o me. The Phantom of the Opera is c/o Monsieur Gaston Leroux and Andrew Lloyd Webber.